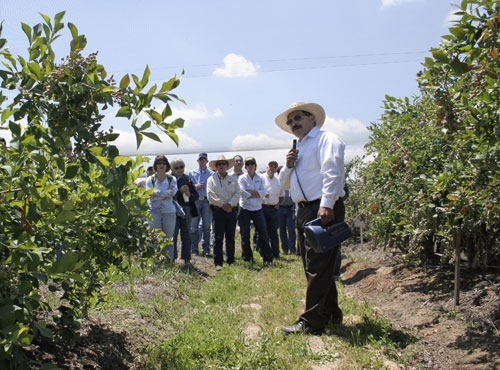 UC Cooperative Extension farm advisor Manuel Jimenez hosted the annual blueberry meeting and field day at the UC Kearney Agricultural Research and Extension Center today.  The event attracted about 75 farmers and industry representatives. 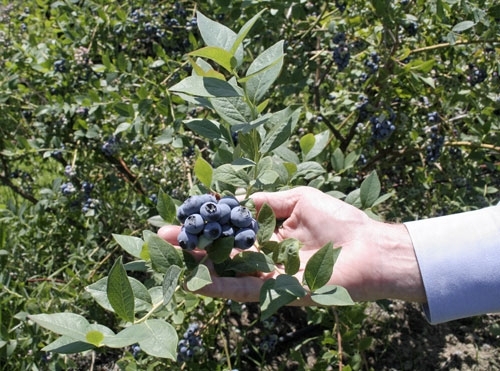 Blueberry experts from Oregon and North Carolina joined University of California scientists to present the latest research findings on blueberry nutrition, blueberry disease management, blueberry pest management and blueberry postharvest research. Manuel Jimenez leads a tour of his research planting. California blueberries ready to be harvested. 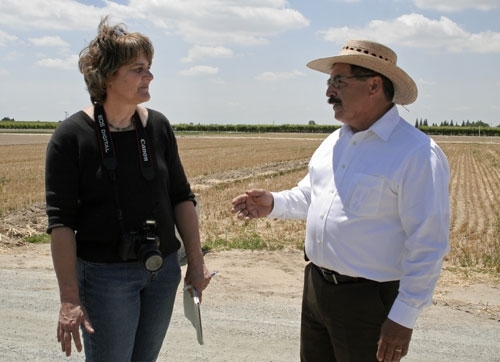 Freelance reporter Cecelia Parsons, left, talks blueberries with UCCE farm advisor Manuel Jimenez. 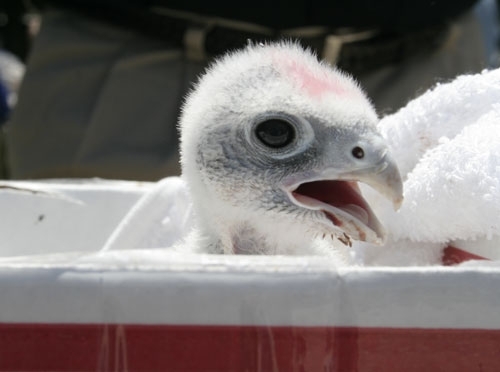 A 17-day-old falcon, above, was displayed at blueberry day by falconer Fred Seaman, manager of Airstrike Bird Control.